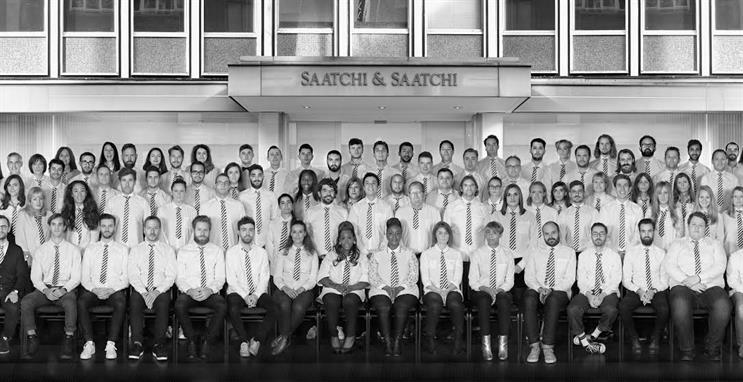 Saatchi & Saatchi has created an interactive school photo that allows current and former colleagues to be part of a momento to commemorate the agency's departure from London's Charlotte Street after more than 40 years. The Publicis Groupe agency has launched the "School of Saatchi" campaign ahead of its move to 40 Chancery Lane at the end of this year. Saatchi & Saatchi moved to Charlotte Street in 1975 following its takeover of rival ad agency Compton. Past colleagues, which include Maurice and Charles Saatchi, Sir Martin Sorrell and Sir John Hegarty, are being invited to add their photograph to a school photograph of alumni via a website. The campaign was created by Will Millner and Tom Cleeland at Saatchi and Saatchi, and the photograph will be displayed on the windows of the Charlotte Street offices until the agency leaves. Publicis Groupe completed a property deal to move Saatchi & Saatchi to Chancery Lane in 2013. The agency’s sister media agency Starcom moved from Charlotte Street to the former Turnmills nightclub in Farringdon at the end of last year. Following the move, 80 Charlotte Street’s landlord Derwent London will redevelop the site. The property company also owns the two new sites in Chancery Lane and Farringdon owned by Publicis Groupe. Saatchi & Saatchi will open its new doors in Chancery Lane on 3 January.